White or yellow? Bitter or sweet? Neat or mixed in drinks, like famous cocktail caipirinha? Cachaça, the first distilled beverage in the Americas, is fashionable and has attracted more and more tourists to Rio de Janeiro. 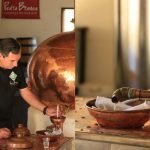 The explanation is simple: the state, which concentrates more than 60 distilleries and is one of the largest producers of the beverage, offers unique flavors and aromas in history-filled stills. There are many winners not only in Brazil, but also in several countries. Recognized worldwide as a Brazilian heritage, cachaça appeared in sugarcane mills between 1516 and 1532. It was created even before the appearance of pisco, tequila, rum and bourbon. Today, Brazil produces almost 800 million liters of the beverage per year and counts on another four thousand labels of aguardiente registered with the Ministry of Agriculture. An industry that generates 600 thousand direct and indirect jobs and boosts tourism. Paraty, a historical city south of the capital of Rio de Janeiro, was the great producer of cachaça in colonial times and in the empire. The region was occupied by the Portuguese from the region where today is Santos, in São Paulo, around 1600. And the production of cachaça took root there, and the multiplication of stills was such that soon the term “parati” would become synonymous with cachaça. Today, the city is the joy of tourists with its six traditional distilleries and an annual festival. All are easily visited. Among them, Coqueiro is produced by the Melo family 200 years ago; Pedra Branca has a privileged view of the bay of Paraty; Engenho d’Ouro has a typical restaurant with delicious local cuisine; and Cachaça Maria Izabel is produced simply in the most beautiful still in Brazil. Another region of the state producing many award-winning cachaças is the Paraíba Valley. In the city of Valença, Santa Rosa Farm produces the very fine Santa Rosa cachaça, and the still producing Vilarejo cachaça is located in the romantic District of Conservatória. 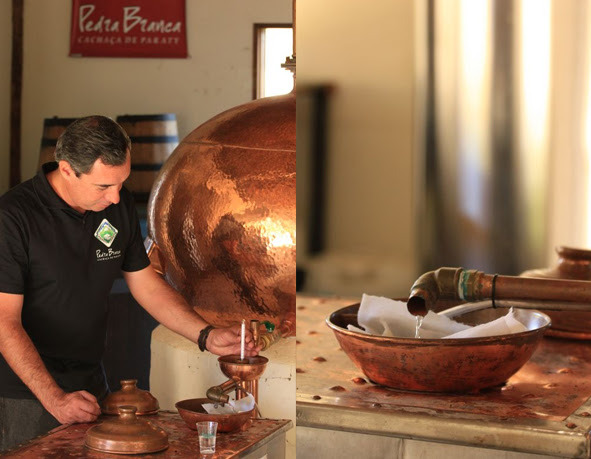 In Rio das Flores, a neighboring municipality, the Werneck still produces artisanal cachaça. Magnífica is the highlight of Vassouras, also located in the region. Producers since 2003 export the beverage to a chain of restaurants in England. In the state capital, tourists and cariocas may enjoy several bars, which provide quality and artisanal cachaças. In Lapa, the options are many. Among them, Cachaça Bar. In operation since the 60’s, the house has more than 100 labels. Another good place is Mangue Seco cachaçaria, with its own menu, and Armazém do Senado. 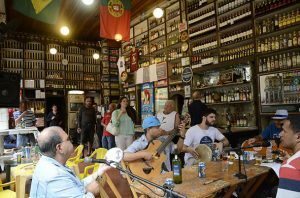 Academia da Cachaça is a highlight of Leblon, in the South zone. Tourists and cariocas may find cachaças made of corn and cinnamon at the Northeastern Traditions Fair, which occupies a gallery in São Cristóvão, in the North Zone, among other flavors, coming from the four corners of the country. Those who are going to taste them are advised to pay attention to the differences; There are cachaças known as white and yellow. The difference is that the yellow drink is stored in typical wood of the Brazilian biomes, such as Oak, Amburana, Cariniana, Peanut (Arachis hypogaea), Balsaminaceae, Tabebuia, Cordia goeldiana, Eucalyptus and Castanea sativa. White cachaça does not go through this process. Both can be consumed neat or mixed in drinks like mojito, margarita and, of course, caipirinha. Want some?